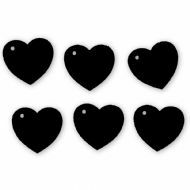 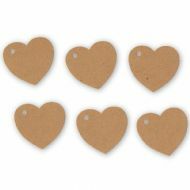 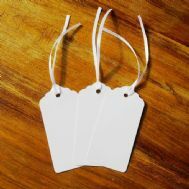 Here we have our gift tags which are widely used as place card setting buy stringing them onto wine glass stems with kraft string. 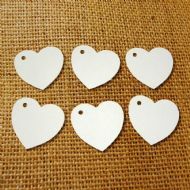 They can also be used for gift tags and even card toppers. 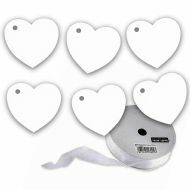 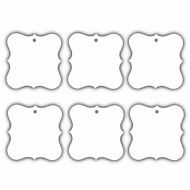 Make your wedding table stand out with our setting tags. 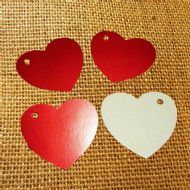 100 Retro Red Wedding Scallop Tags / Gift Tag, Birthday, Christmas. 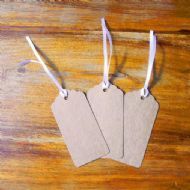 No Ribbon Or String.